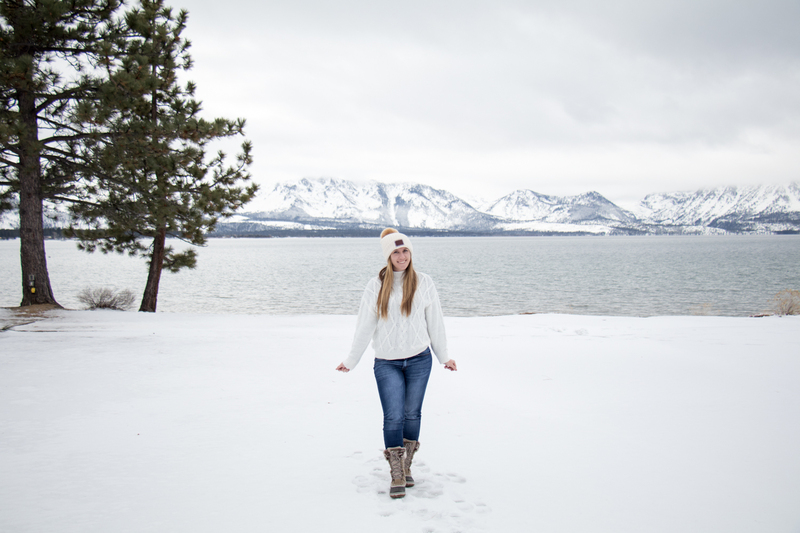 Lake Tahoe just got a ton of snow and I am loving it! It’s bringing me back to when I lived in New York. This week we’ve had beautiful weather – clear, sunny days and slightly warmer temperatures. But last week brought winter storm warnings with lots of snow. 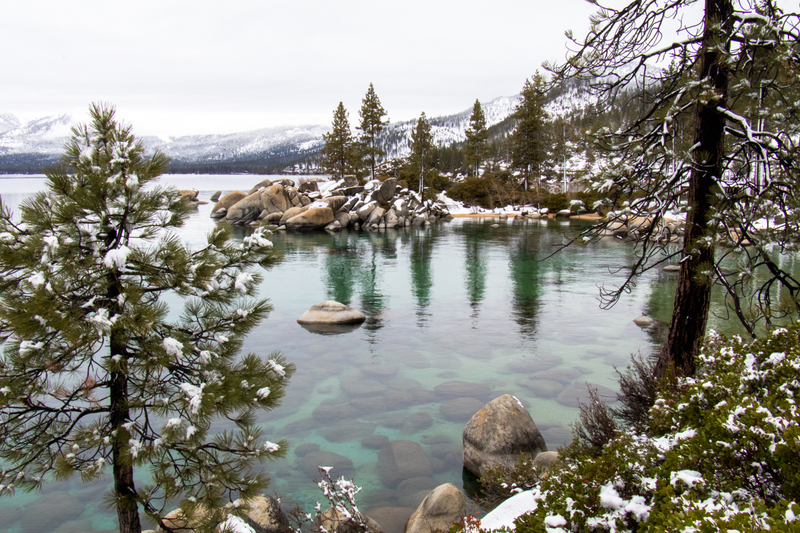 There’s something so magical about Lake Tahoe in the winter time. While it’s a popular spot in the winter as skiers and snowboarders head to the snow, the weekdays are quiet. Thankfully my boyfriends “weekends” are during the week so we are able to go explore during the weekdays. 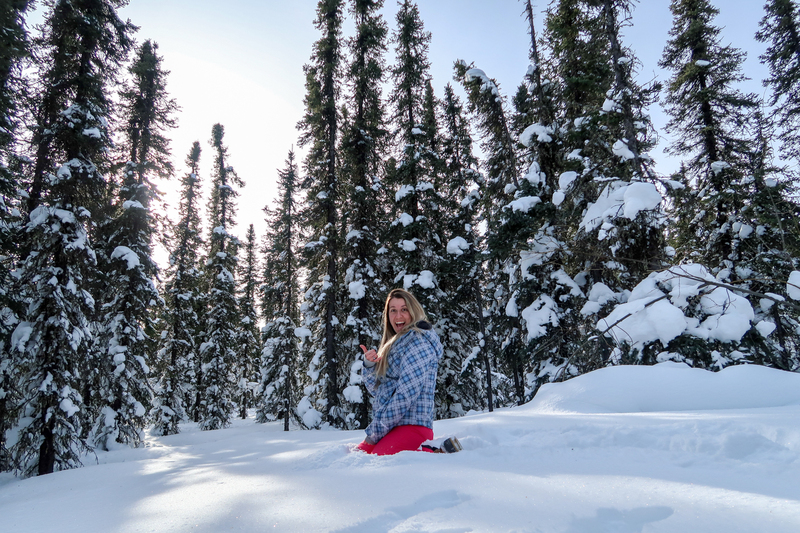 Last week we spent a few days out playing in the snow. 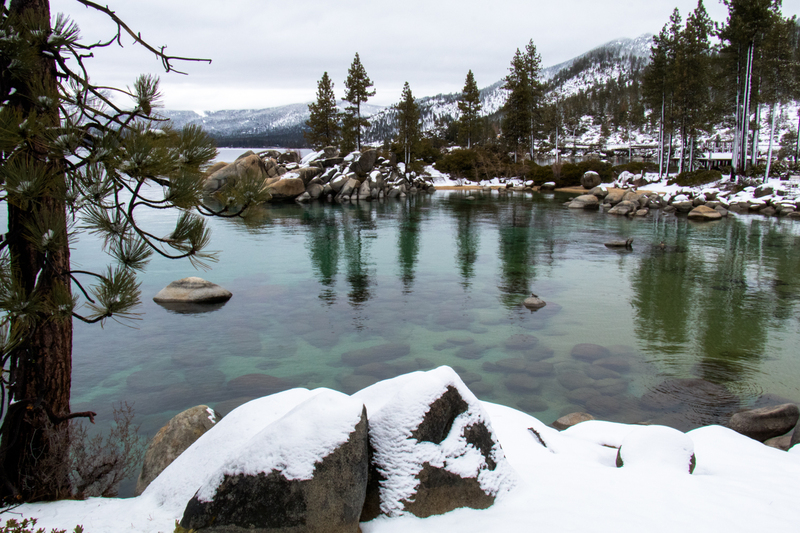 With all of the fresh snow sparkling everywhere, Tahoe turned into a magical winter wonderland. I love looking out over Emerald Bay, and I imagine the view looks gorgeous covered in snow. But the road up to Emerald Bay is closed from all the snow, and of course we didn’t plan ahead and buy snowshoes. So we explored some new spots around the lake instead. We spent an afternoon driving up Highway 28 to Incline Village. 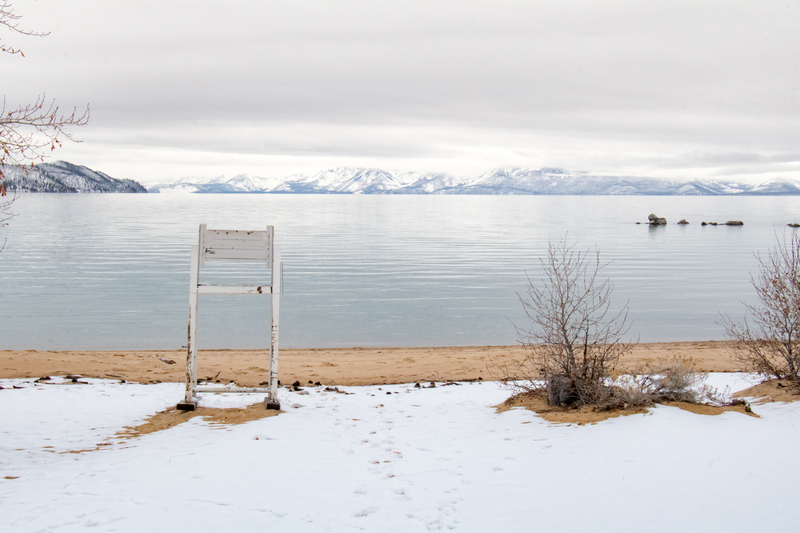 We stopped at Sand Harbor and pretty much had the place to ourselves. It is such a peaceful spot to spend walking around on a winter day. The views of the lake are beautiful here, and you can admire how clear the water is as you look at the bottom. I love trying new restaurants, and since I’m still new to the area we have plenty of restaurants to try! 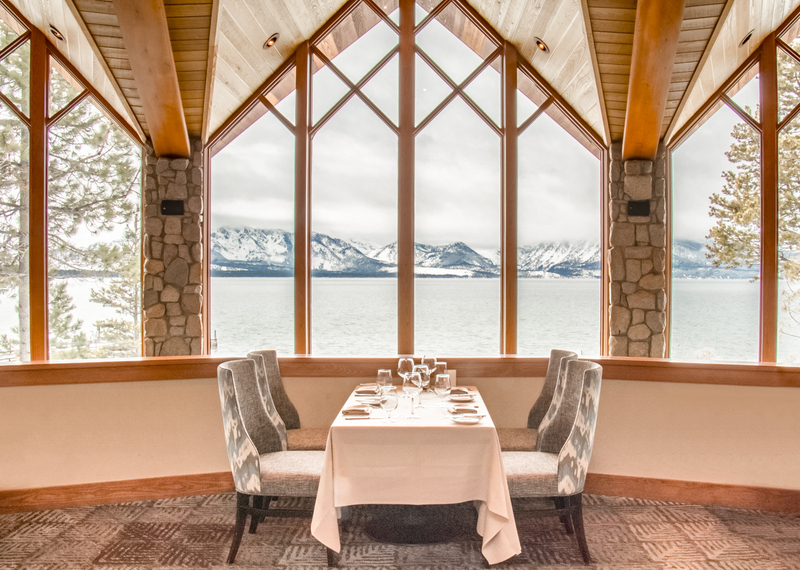 We spent a snowy date night at Edgewood, where we enjoyed beautiful views of the lake as we ate a delicious dinner. We went right at 5 when they open to get a great view of the sunset. Unfortunately it snowed so much that we it looked like a wall of grey outside. We went back the next day to get a picture of the view from the restaurant. I love waking up early to catch a sunrise. 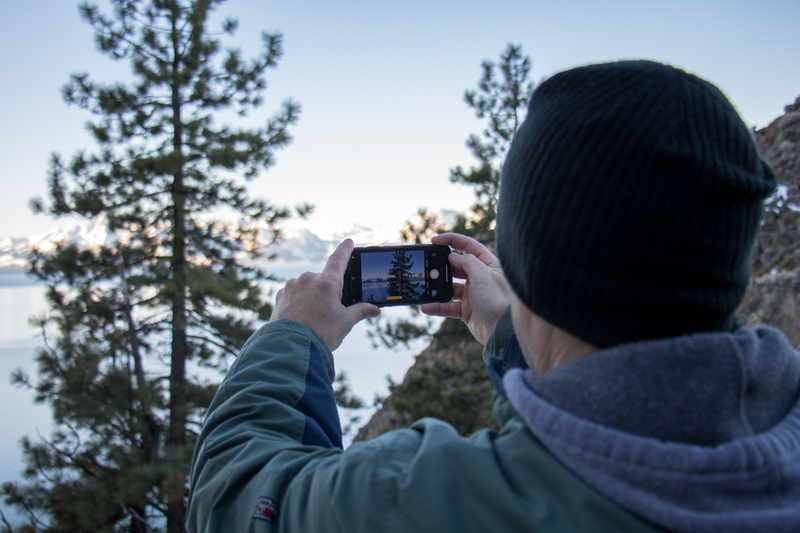 Most people don’t want to wake up that early, so the amazing views are all yours. We hiked up to one of my favorite spots to watch the sunrise. 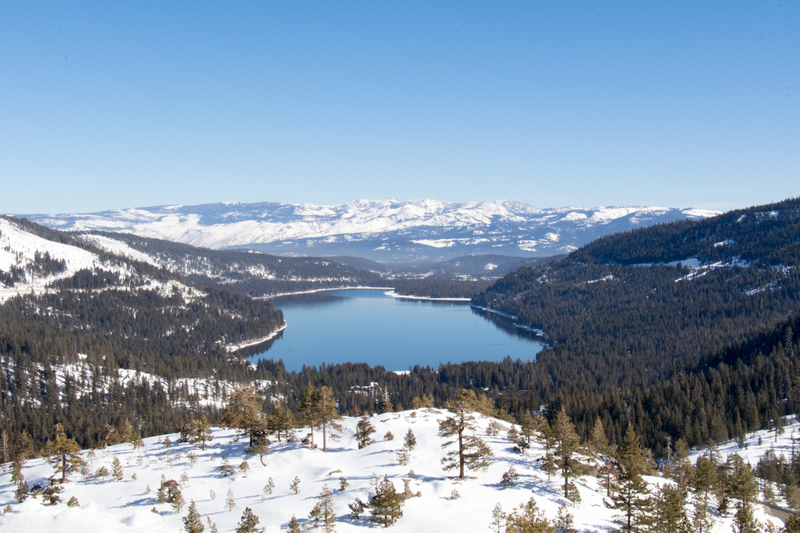 The incredible views look over the lake and Highway 50. 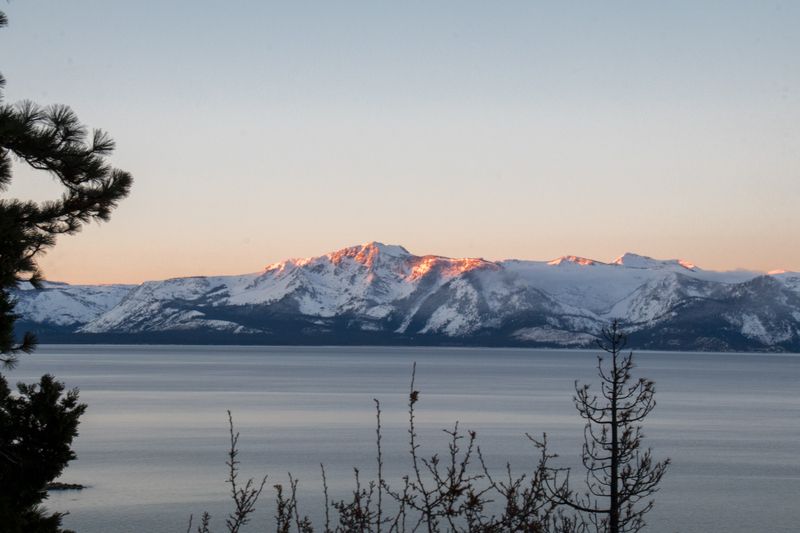 The sun peaked over the mountaintop with a faint pink glow touching the white mountaintops across the lake. Then it illuminated its way across the lake. 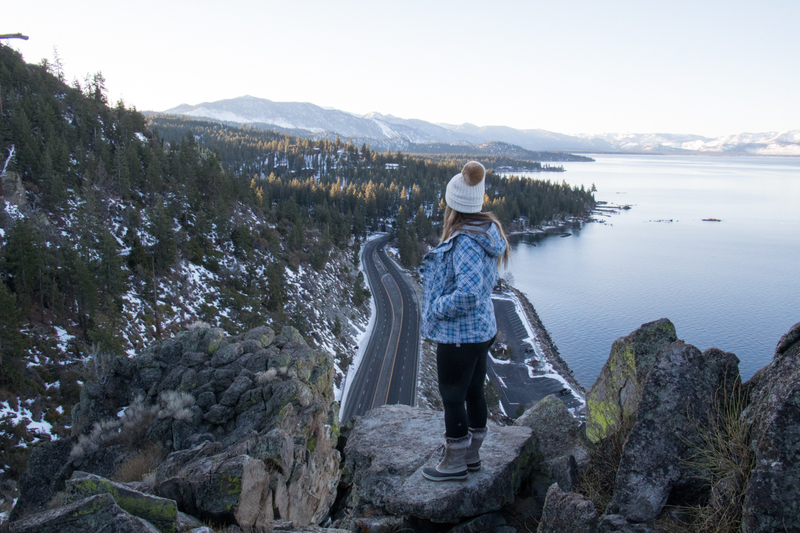 While Tahoe is busy during the summer with families vacationing and playing in the lake, it’s entirely different in the winter. It’s much quieter as less people are around. Even with all of the people who return with skis and snowboards in hand, there are less tourists. It still gets busy on the weekends with people coming to hit the slopes. Now that I live here, I’m able to experience the quiet weekdays of winter when people aren’t heading to the mountains. I’m a little embarrassed to admit that while I live here now, I haven’t gone snowboarding yet! 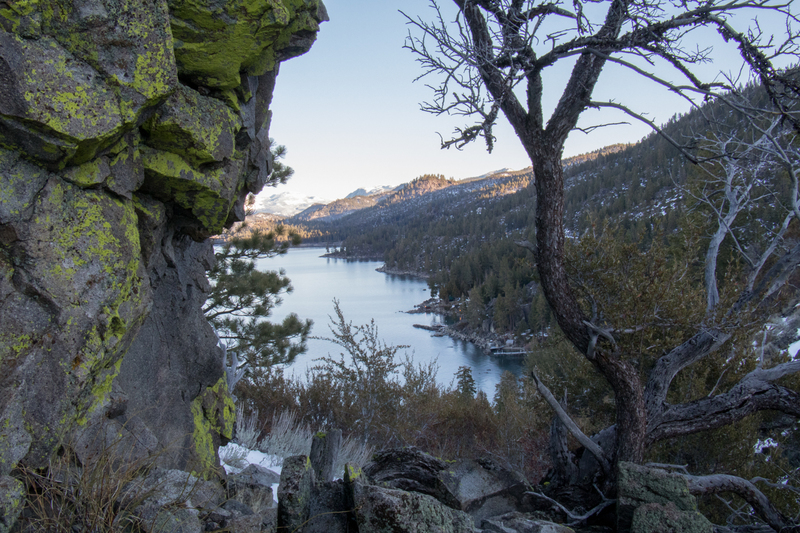 We even took a trip up to Truckee to try and hike to one of my favorite spots on the Pacific Crest Trail. But with all of the snow and the steep cliffs, the hike looked a little sketchy. 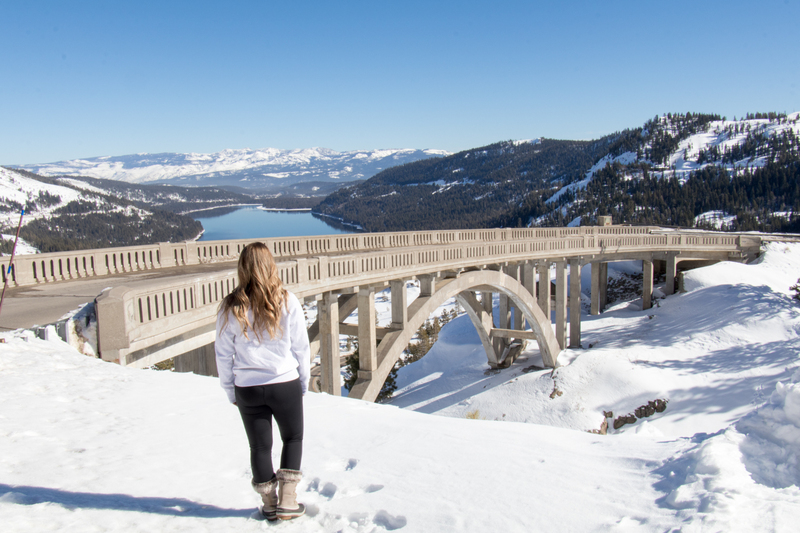 So we found a great spot to pull over and admire the great views of Donner Lake and the Donner Summit Bridge. 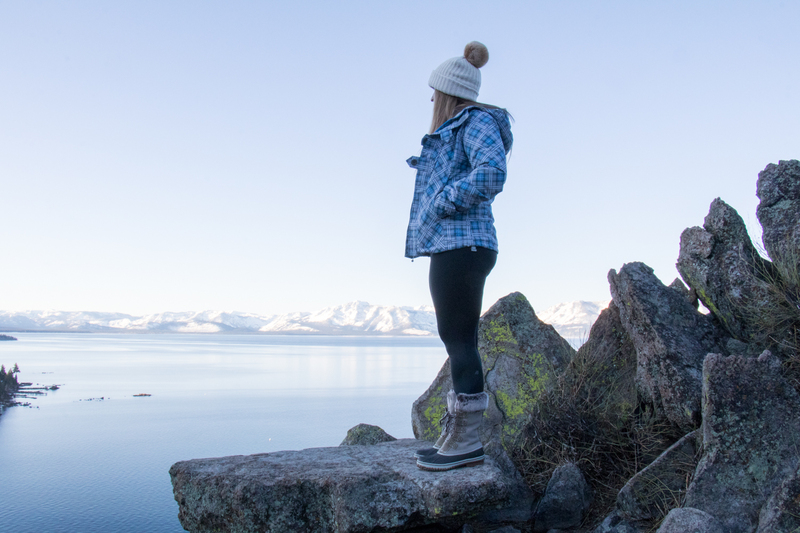 I definitely plan to spend as much time as I can outside exploring Lake Tahoe this winter. And hopefully I make it up to snowboard soon! 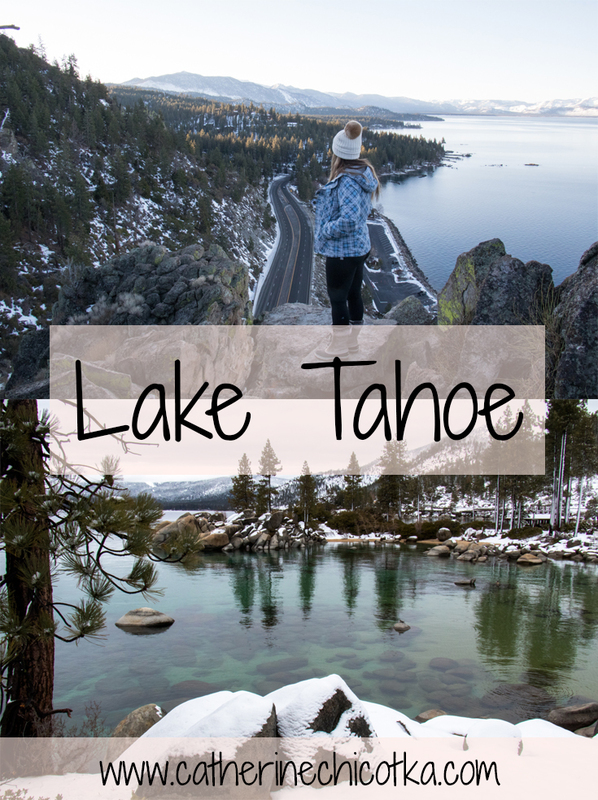 Have you been to Lake Tahoe? What’s your favorite spot to visit?